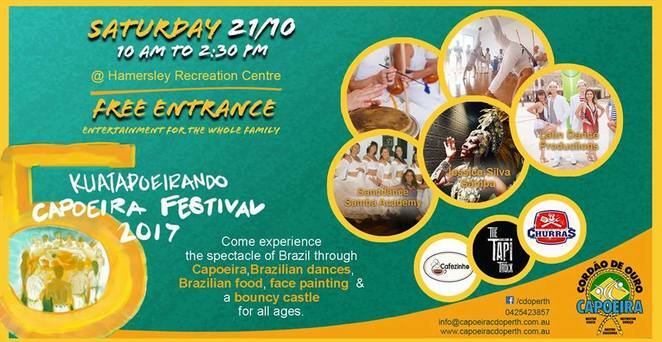 Experience all things Brazilian at the 5th Kuatapoeirando Capoeira Festival on Saturday the 21st of October at the Hamersley Recreation Centre. Capoeira CDO Perth will be hosting this event which they are calling the greatest Brazilian and Capoeira Festival in Perth. The doors will open at 10am and close at 2.30pm. Admission will be free. Capoeria is a mixture of martial arts, dance, acrobatics and music. It originated in Brazil in the early 16th century and has Afro-Brazilian roots. Capoeria was started by African slaves brought to Brazil by Portuguese colonists. The colonists were cruel to the slaves and often forced them to work in inhumane conditions. Capoeria was used by the slaves as a form of self-defence. It was a tool that an escaped slave could use to help them to evade colonial agents tasked with re-capturing them. Capoeira has changed a lot since its inception. It was banned for a while in Brazil but then it made a comeback in the early 20th century. Capoeria involves a lot of quick and complex movements that use a lot of power, speed, kicks and spins. The two modern forms of Capoeria are Capoeira Angola and Capoeira Regiona. The 5th Kuatapoeirando Capoeira Festival 2017 will showcase the rhythm, acrobatics and spectacle of Capoeira. There will be Brazilian food, coffee and music and you will be able to see some of the Brazilian artists performing the Orixás Dance and the International Samba Day routine and Maculelê and Puxada de Rede will be performed by the Capoeira students. 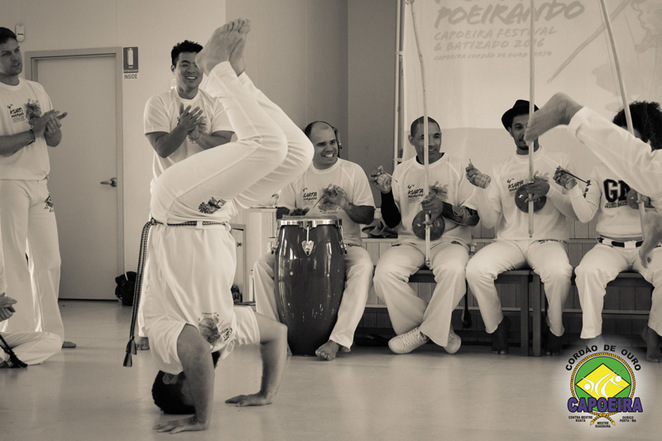 Visiting Capoeira Masters from Brazil will dazzle the crowds with their athletic skills. There will also be face painting and a bouncy castle for the kids. The 5th Kuatapoeirando Capoeira Festival 2017 will be a vibrant and exciting festival that will spread the message of cultural inclusion and the importance of a healthy and active lifestyle. For more information about the event please check out the official website.